These five states have the highest share of households receiving nutrition assistance. Click on the chart to see the share of households on food stamps in your state. The number of American households receiving food stamps jumped nearly 10% in 2011. Nearly 15 million households were on food stamps at some point last year, up from 13.6 million in 2010, newly released Census data shows. That's an increase to 13%, up from 11.9% in 2010. Some 47 states and the nation's capital experienced an increase in their residents receiving nutrition assistance, with the District of Columbia, Alabama and Hawaii seeing the largest jump. No state experienced a statistically significant decrease. 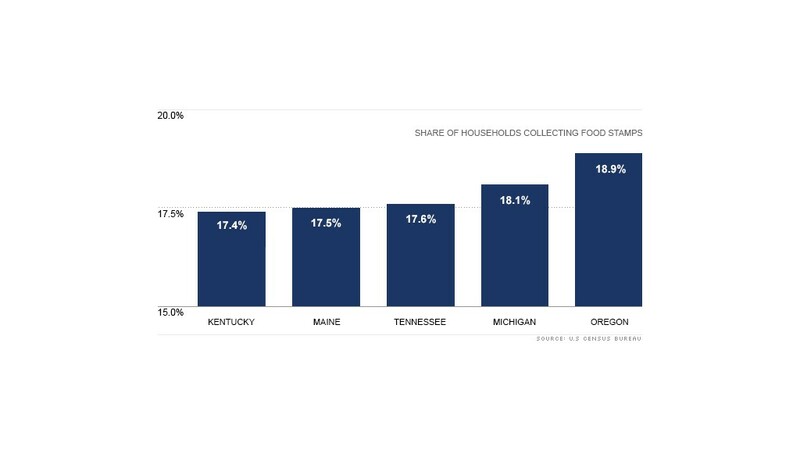 Oregon had the highest share of households receiving food stamps at 18.9%. Wyoming had the lowest at 5.9%. The food stamp program has become a source of controversy in political circles as a record number of Americans signed up for nutrition assistance during the Great Recession. An alternate measure of food stamps shows that though the economy is improving, more people are signing up. A record 47.1 million people received food stamps this past August, according to the U.S. Department of Agriculture. During the campaign, Republican candidates attacked President Obama for increasing Americans' dependency on public assistance. Former House Speaker Newt Gingrich called him the "food stamp president." In a related report released Wednesday, the Census Bureau found that the number of households receiving public assistance cash payments in 2011 did not significantly increase from the year prior. This is the first time this has happened in several years. Around 3.3 million households, or 2.9%, receive cash assistance, including Temporary Assistance to Needy Families and General Assistance, last year. 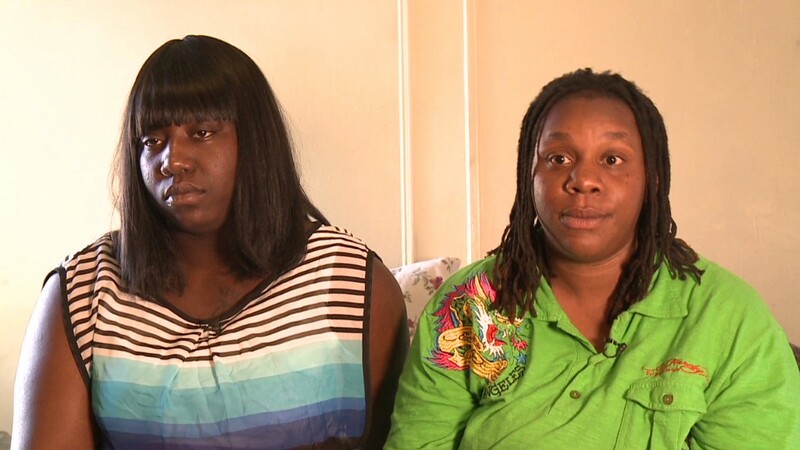 TANF replaced what was commonly known as welfare, but it is time-limited and requires most adult recipients to work. Four states -- Indiana, Iowa, New Hampshire and Utah -- and the District of Columbia saw decreases year-over-year. This is the first time in several years that states saw a decline. TANF also became a flashpoint during the election, when Republican Mitt Romney ran ads charging that the Obama administration was loosening the work requirements on TANF.